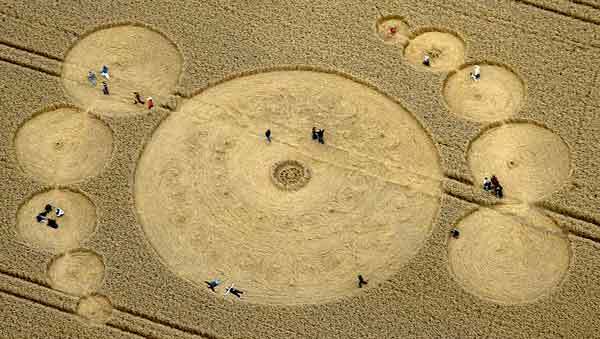 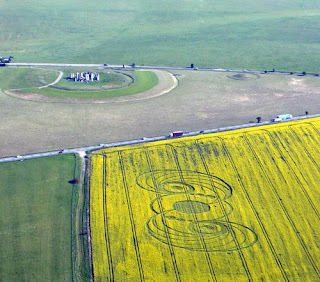 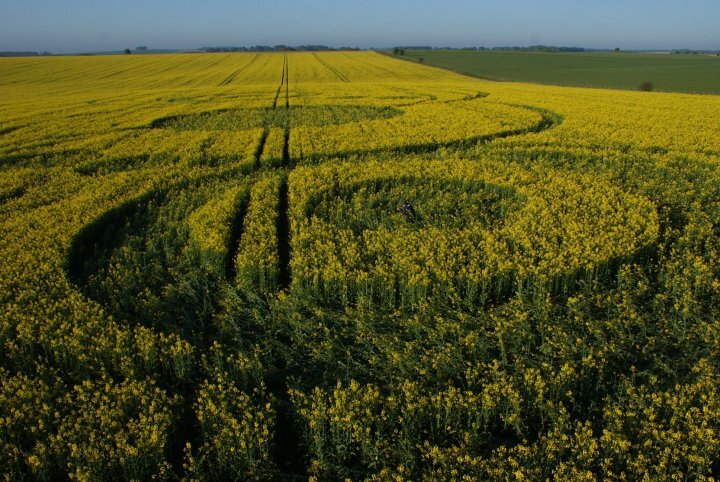 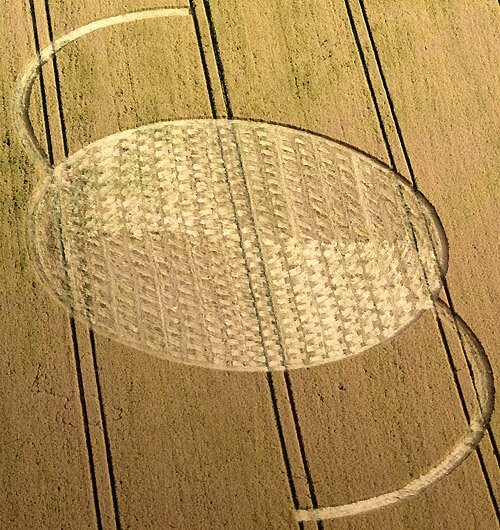 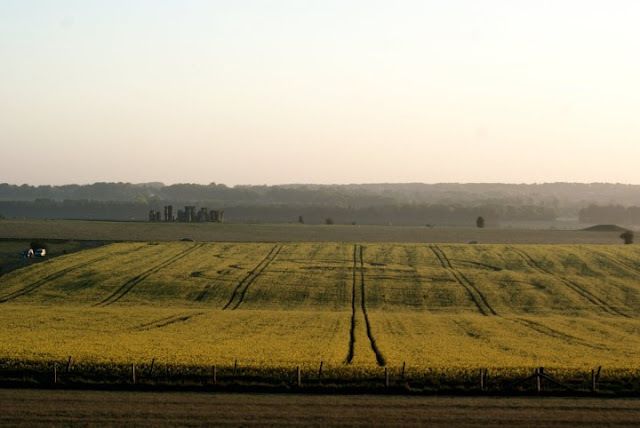 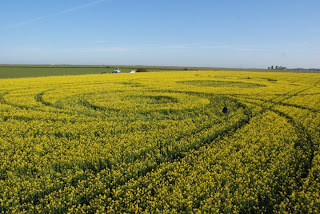 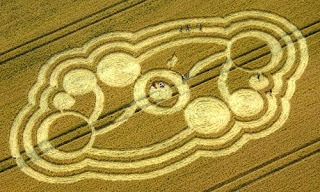 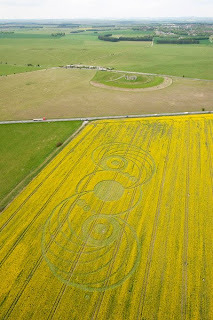 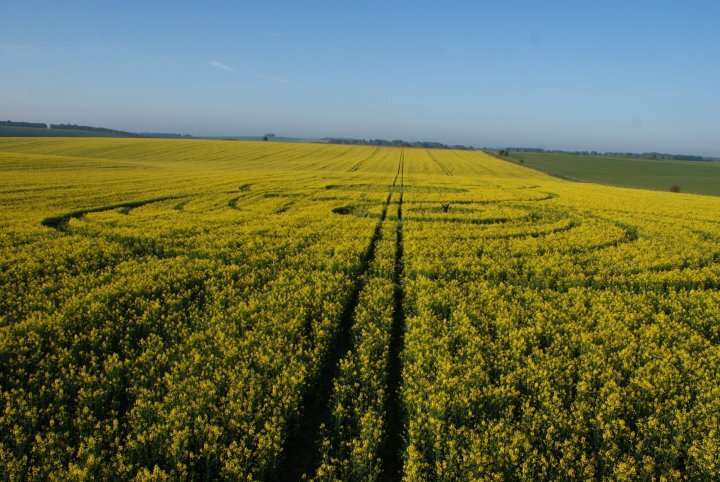 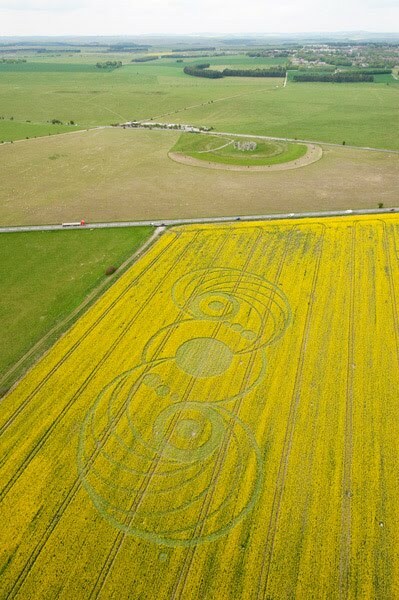 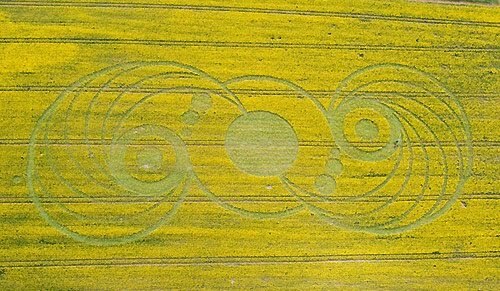 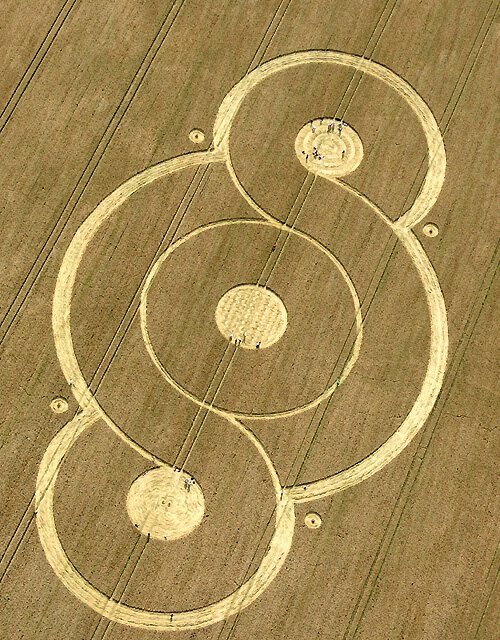 The 2nd Crop Circle of the 2010 season has arrived friends ... A huge 500 feet long Crop Circle formation was reported on the 9th of May in a Canola Field below Stonehenge, near Amesbury, Wiltshire UK. 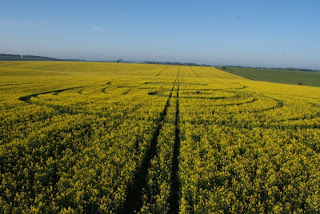 This morning of the 10th of May we were surprised to see frost on the ground - so once again a bitterly cold start to the day. The landscape was also covered by morning mist and visibility was poor. As we couldn't see where the crop circle was ... we sat and watched Stonehenge appear slowly at the break of dawn. 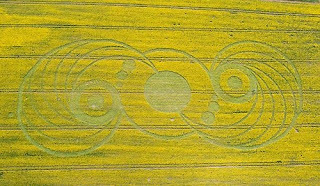 This crop circle formation was hard to spot from the road side but once found we were amazed at the size - using a measure this time - the entire length is exactly 500 Feet. 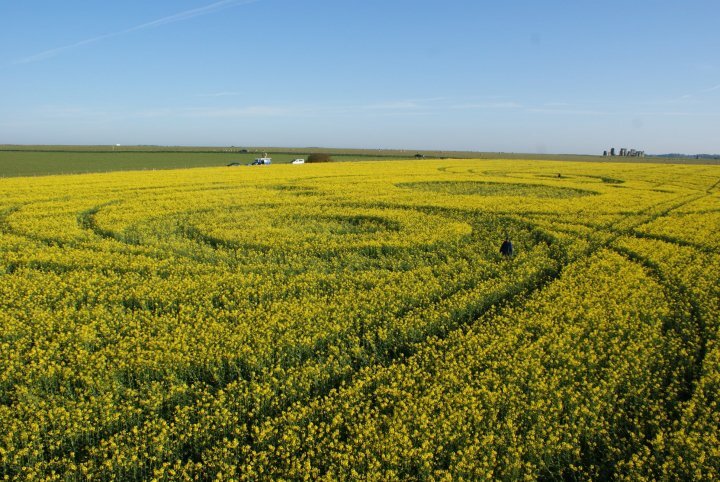 The centre circle is a nice basket weave, something which we have not seen in Canola before, ground shot photos don't display the careful arrangement - aerial shots should indeed be spectacular. The First Crop Circle 2010 Season is Here Now !